Wedding Guide 2015 Edition is here! 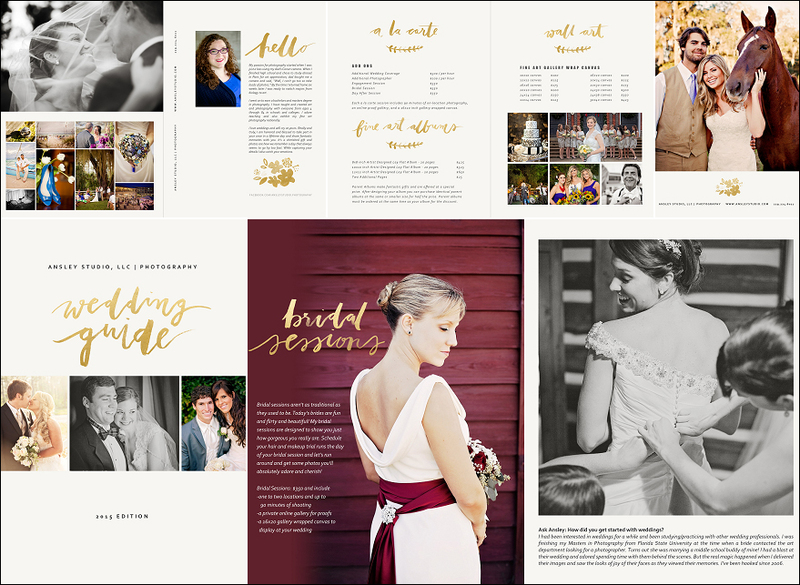 After many many edits, I’m very excited to reveal my new baby, the Ansley Studio 2015 Wedding Guide. The inside features my photography as well as slews of information on me and answers to frequently asked questions. Want to know how I got started in photography? It’s in there! Want to know my wedding photography approach and what do expect on your wedding day? Flip through this booklet. Have questions about my wedding collections? I’ve got you covered! Click here to download the 2015 Wedding Guide & Pricing pdf. Want to read a physical copy? They’ll be available in two weeks! A special shout out to all my friends who helped with this project including Jen, Laura, James, Emily, Jim, Audrey, and Clint. Thanks for letting me use your peepers and editing skills! ©2003-2017 Ansley Studio, LLC, All Rights Reserved | Images on this site may not be used for personal or commercial use without written permission. | Don't steal - it gives you negative Karma points!